Just before starting the blog you’re reading now, I decided to do some serious research into blogging. It’s a bit ironic because I’ve written hundreds of blog posts for other people as a ghostwriter, but I’ve never really considered starting my own before. 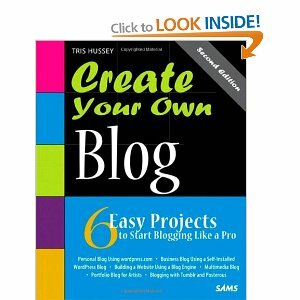 Anyhow, I picked up the book Create Your Own Blog: 6 Easy Projects to Start Blogging Like a Pro by Tris Hussey at my local Chapters. I dug right in and found the book strangely fascinating. I fully expected to be bored to tears while reading the book, but that wasn’t the case at all because the author does a remarkable job of explaining how to put a blog together in layman terms. The book contains a wealth of information. The book is 247 pages long, not including the index pages and I thoroughly enjoyed reading it. It opened my eyes to the world of blogging in a whole new way. It also doesn’t hurt that the author is Canadian. Go Canada! Even if you don’t fully understand what the author is saying (in other words, if you don’t speak blogger-ese) the book includes screen shots for those of us who are jargon-challenged. If you’re thinking of starting up a blog for the first time, I recommend this book big time. 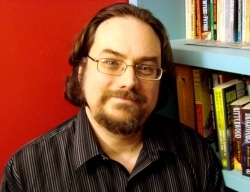 It’s an enjoyable, informative romp through the world of blogging.